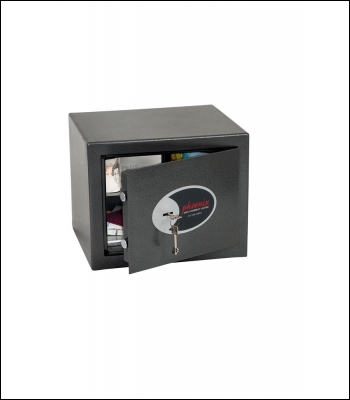 The Phoenix Lynx Series is designed for use in domestic and commercial premises for the protection of cash, valuables and documents.. 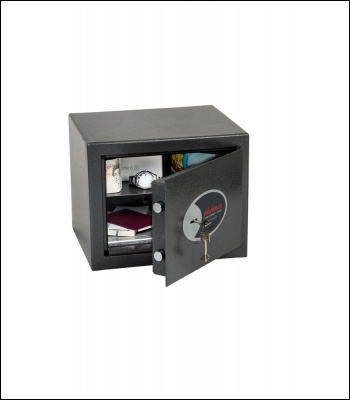 Recommended for overnight cash cover of £3,000 cash or £30,000 valuables. * Designed to conform to the prestigious German VDMA 24992 standard. Fitted with a high security double bitted VdS class 1 keylock and supplied with two keys. 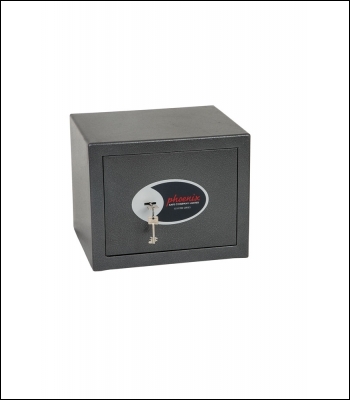 The body has a double wall construction with a total wall thickness of 35mm.The door is secured by twin live locking bolts and concealed internal hinges for added security. Ready prepared for floor and wall fixing, with fixing bolts for brick walls and concrete floors supplied. Finished in a high quality scratch resistant Metallic Graphite paint.